New York, NY The Community Preservation Corp. (CPC), a Freddie Mac Seller/Servicer and leading nonprofit housing and community revitalization finance company, completed the closing of a $100 million portfolio under the Freddie Mac Small Balance Loan (SBL) product. The loans were used for the refinancing of 28 small, multifamily buildings spanning Washington Heights, East Harlem, and Brooklyn. The favorable terms and rates of the SBL financing will help to keep the properties, which are largely home to working-class New Yorkers, in solid financial standing for the long-term. The 28-building portfolio contains 694 total residential units; the majority being rent stabilized or rent controlled. 86% of the apartments in the portfolio have rents affordable to moderate-income households earning at or below 100% of the area median income. “In every borough in New York, small multifamily buildings are the backbone of communities. That’s why it’s particularly important for us to have a flexible product that allows our customers to meet the capital needs of their small buildings,” said Rafael Cestero, president and CEO of CPC. The closing of the 28-building New York City portfolio brings CPC’s SBL lending to $267 million in 2018. “The Freddie Mac Small Balance Loan gives us that tool, and put us in a position to help our borrower refinance 28 properties, and ensure the long-term stability of a portfolio that serves as an important piece of the community’s housing stock,” said Cestero. CPC became a Freddie Mac SBL seller/servicer in 2015 and has seen demand for the product increase exponentially year over year. 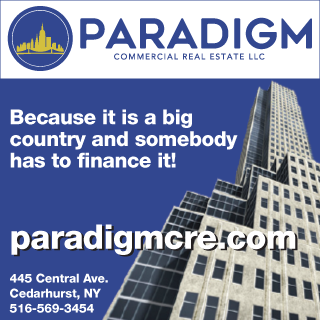 To date, the company has delivered more than $635 million in SBL financing to 235 properties comprising over 4,600 units in New York City and State, Pennsylvania, Massachusetts, New Jersey, and Connecticut. Freddie Mac’s SBL program is designed to address the need for cost-effective financing solutions for the acquisition and refinancing of small multifamily buildings and offers a streamlined process for permanent loans between $1 million and $7.5 million. The SBL product can be used for the acquisition and refinancing of properties with five or more units that may have tax abatements and Section 8 housing choice vouchers, senior housing without services, extended-use agreements for properties that are no-longer in the investor compliance period for Low-Income Housing Tax Credit properties, and properties with space for commercial use. CPC continues to expand its Agency lending platform, a one-stop-shop that provides multifamily owner and operators with a team of experts that have deep experience in Freddie Mac, Fannie Mae, and Federal Housing Administration lending products. From originations to underwriting and facilitating the deal flow through closing, CPC provides a team solely dedicated to facilitating The Agency lending process. CPC is dedicated to bringing stable permanent lending capital to multifamily projects in underserved and growing communities throughout the Mid-Atlantic region. Whether providing Conventional Financing products or capital to address the needs of small buildings through the SBL program, the decades-long partnership between CPC and Freddie Mac offers borrowers reliable loan products tailored to multifamily developments of all sizes.